RAPID CITY, S.D. 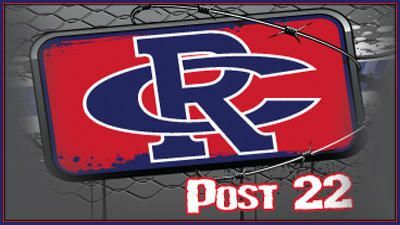 - In a battle of premier pitchers, Rapid City Post 22 got the double-header sweep over Pierre Post 8 Saturday at Floyd Fitzgerald Stadium. In the first game, Post 22 edged Pierre 6-5. The Hardhats fell behind 2-0 early, and trailed 5-2 after the top half of the second, but would come back both times. Starting pitcher Peyton Zabel took the loss for Pierre in game one. Zabel, who was drafted in the 19th round by the Milwaukee Brewers, decided instead to attend Augustana University to play football and pitch for the Vikings in the spring. In the second game, Post 22 rolled to an 8-1 victory, adding three runs in the bottom of the fith on a three-run home run by Holden Jackson. Post 22 is now 37-8 on the season and will host Westco out of Scottsbluff, Nebraska on Tuesday.